Effectively advertise your company to a large audience with elevator door graphics! Wrap the exterior doors of local elevators with vivid colors and high-impact designs to promote your business and upcoming events. Alternatively, capture attention of potential customers with custom escalator graphics that are sure to make a professional impression. Elevator door wraps are easy to maintain and fun to customize. If your building contains an elevator or an escalator, then you’re already halfway there! If not, partner with a local hotel or shopping mall to get your business’s name and services out and about. Elevator wraps transform elevator doors into visually-appealing advertisements. 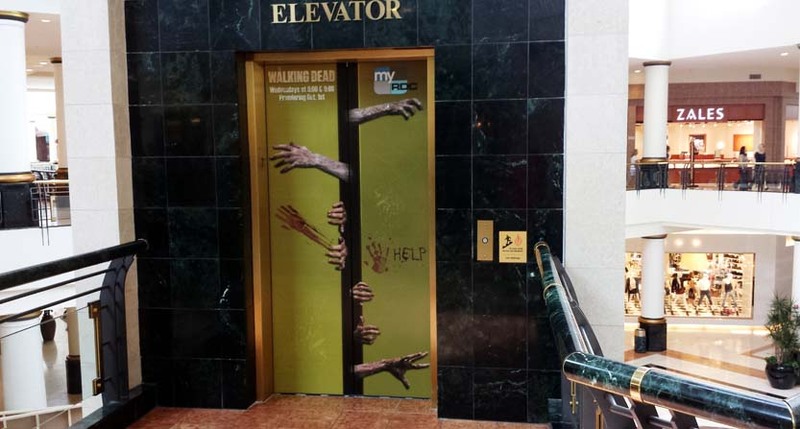 Easily transform any dull elevator door into an eye-catching advertisement! Watch your branded graphic become a visual impact on-the-move by dressing up your elevator doors with a customized door skin. Elevator graphics are printed on thin vinyl to create a bold, visual effect. 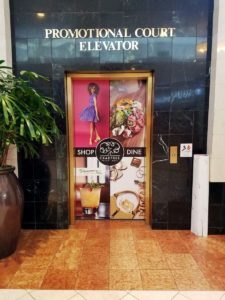 These vinyl graphics are applied to the metal elevator door with an adhesive that allows the graphics to be temporary or relatively permanent, depending on your needs. Either way, custom full-color elevator door wraps will illustrate your brand beautifully. Become the discussion of every elevator ride, giving your business the chance to reach out to a public body that is always on the move, always going places, always wanting to go somewhere new. 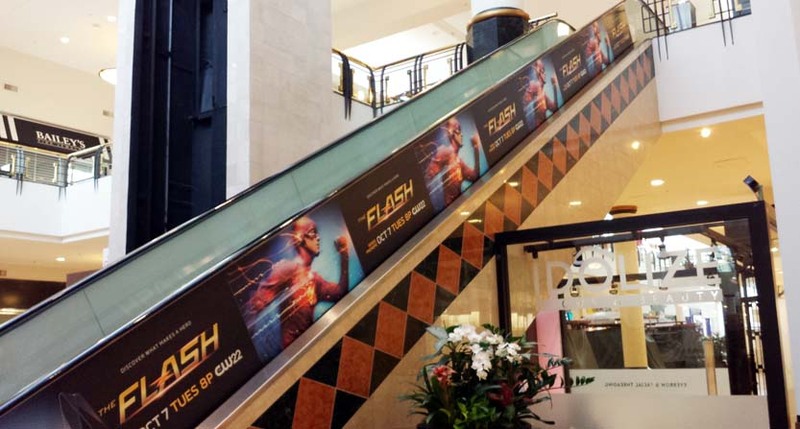 Increase the visibility of your public advertising even more with escalator wraps. Escalator wraps are the perfect way to broadcast your brand to the public eye because they draw attention from every view. Bold and vivid graphics are printed in full-color, allowing your company to make a high-impact. 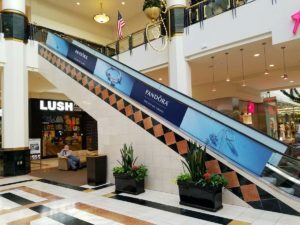 Promote your business with temporary or relatively permanent escalator graphics that transform ordinary side rails into additional advertising space. SpeedPro Imaging NW Raleigh is your source for custom elevator and escalator wraps in Raleigh, Durham, RTP and Cary. We are conveniently located just 1 mile from I40 and Aviation Parkway in Morrisville, NC. Call today to schedule a consultation and see how you can transform your space.